Wow, the quality of the trade stands at RHS Chelsea Flower Show was high. Garden centres don’t seem to carry all the genuinely classy garden decorations I like – ornaments that look aged but not faux aged, from wall-mounted mirrors to plant supports – yet here they all were, in spades. I’m starting to grasp why gnomes and other garishly bright ornaments are usually banned from Chelsea: there really wasn’t any tat there. Just more-ish tools, ornaments and household goods that made you want to open your wallet and say, “Take it…just take it all.” (Actually I like gnomes, and the symbolism of them at Chelsea: they’re a metaphor for greater inclusiveness in gardening, which is something you can try even without a garden design degree). 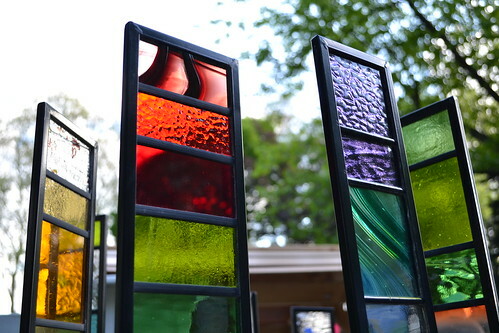 Sarah Hayhoe’s freestanding stained glass panels (www.hayhoedesigns.com). 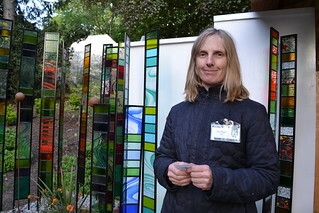 Sarah (pictured) explained that you just stick the panels into the ground and they stay there year-around. I know what I’m asking for at my next birthday. Cost £85 for short panels and £105 for the head-height ones you see here. 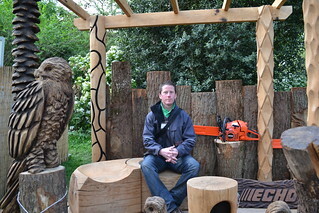 Chainsaw-weilding sculptor Andy Burgess (www.andy-burgess.com), who hacks his lovely, finessed sculptures from oak, drew a crowd at his stand, possibly in part due to his excellent self-promotion on Facebook and Twitter, where he shares before-and-after images of works in progress. The interlocking loveseat he’s seated on here cost…um…I can’t remember, but it was thousands. Gorgeous stuff. My husband and I walked out of Chelsea and found ourselves behind an older couple carrying one of Andy’s owls between them. 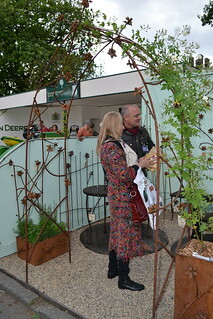 Secret Gardens furniture (www.secretgardensfurniture.com), which always advertises its rusted plant supports in Gardens Illustrated, showed the most tempting gazebos and arches at Chelsea, all festooned with the company’s trademark iron flowers. Seems a shame to cover them with anything but the most filmy annual climbers. 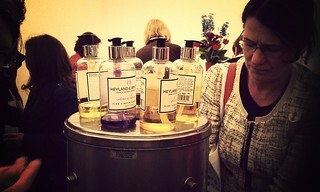 I’ve never seen a group of people so excited about handsoap as the ladies’ room at RHS Chelsea this year. A perpetual fountain, topped with handsoaps donated by Heyland & Whittle of Sussex was at the centre of the room, with hand lotions on counters at the side. All the ladies had their hands cupped over their noses, sniffing the scents they’d just tried. Such a good move to offer some sponsored products to the public; next year I’d like to see free site-wide wifi everywhere at RHS Chelsea, sponsored by someone, to make it easier to share photos (I had to run back to the Press Tent again and again to upload my pics). So what did I buy? None of it. I resisted it all, even the star-gazing hares I saw on one stand, and went to the Great Pavilion to buy a rose. 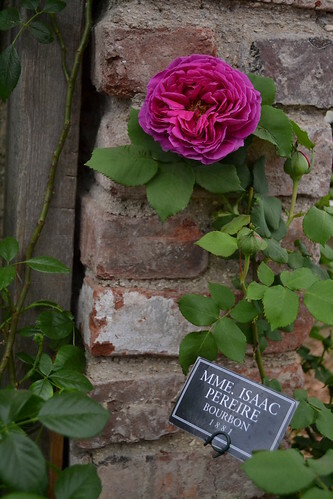 I chose Mme Isaac Periere (“Pair-ee-aire”) from Peter Beales Roses, below. 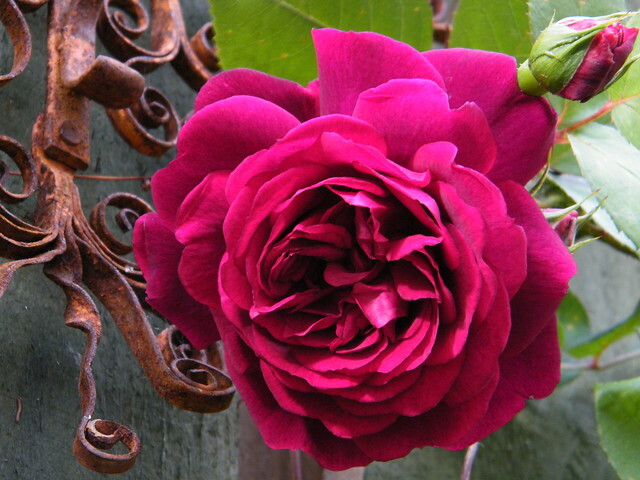 It’s a Bourbon rose, similar to but fuller than Zephyrine Drouhin, and it smells like paradise. What do you find irresistible when you’re on a garden shopping spree? Do you go for ornament or just another plant? A few years ago, friends of mine mentioned that their daughter had begun having some difficulty chewing and swallowing. I think she was just 22 at the time, and I remember she spent ages going from doctor to doctor looking for a diagnosis, as her balance and speech got worse. It did not end happily. In fact the result was just about as bad as bad can get; Alex was diagnosed as one of only a tiny handful of patients in the UK who have something called neuroacanthocytosis. It’s a relentless neuro-degenerative disease that slowly robs the sufferer of their ability to chew, speak and walk. Probably the worst aspect is that it’s often adult onset: it can hit people in their mid-20s just at the time they should be starting their own independent lives, returning them to total dependence on their families. Even today, there are just 10 diagnosed cases in the UK of this disease, which bears resemblance to, and we believe could shed light on, other neuro-degenerative diseases like Parkinson’s, Huntington’s and Alzheimer’s. My friends started an Advocacy for NA Patients and a few years ago I started helping them by publishing NA News, the newsletter for their growing community of research scientists, patients and clinicians now studying the disease. There hasn’t been any Lorenzo’s oil style miracle yet, but thanks to the tireless efforts of the Advocacy and their research partners, scientists have identified the protein missing in patients who have one of the NA group of diseases (chorea acanthocytosis). Research is making good progress: if only they could depend upon long term funding from some reliable source. 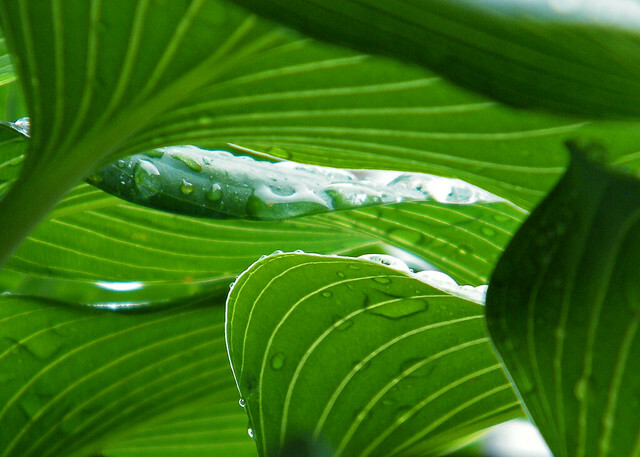 So I’m having a plant sale (jump to a list of the donated plants here: http://bit.ly/swgsale. One of my big messages is, rare disease research should not be supported by plant sales. It should be supported by long-term and I believe government-backed research, especially in economies like Scotland’s, where we have a tradition of excellence in genetics and have a fighting chance of finding the causes of these rare diseases. 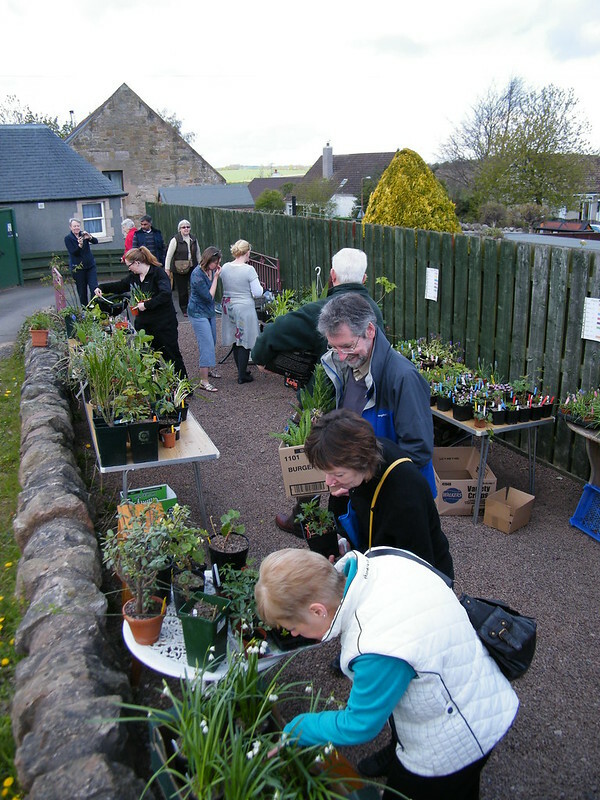 My friends at the NA Advocacy have attracted some significant European funding and some pharmaceutical company attention, but for now, bake sales and plant sales continue to play a vital role. 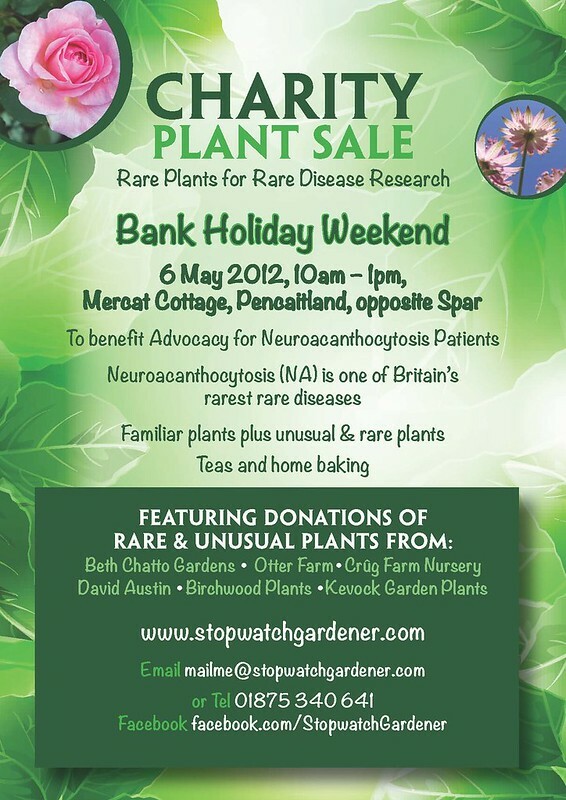 So on 6 May 2012, 10am to 1pm, I’m holding “Rare plants for rare disease research” here in Pencaitland, East Lothian. If you’re anywhere in the Edinburgh vicinity, please stop by for plants, cakes, and a pitying glance at my wisteria, whose frozen buds are now dropping by the handful onto the ground following our cursed late deep-freeze. Stopwatch Gardener on Facebook? Yup. I’ll put updates about the sale and about my garden in general on the new Facebook page for Stopwatch Gardener that I’ve started — it’s a lonesome, newborn thing which would be most grateful for any likes. I’ve uploaded pictures of the plants that I know I have for sale. Notice the total lack of rare plants? But I’m hopeful. You can also follow the hashtag #swgsale on twitter. 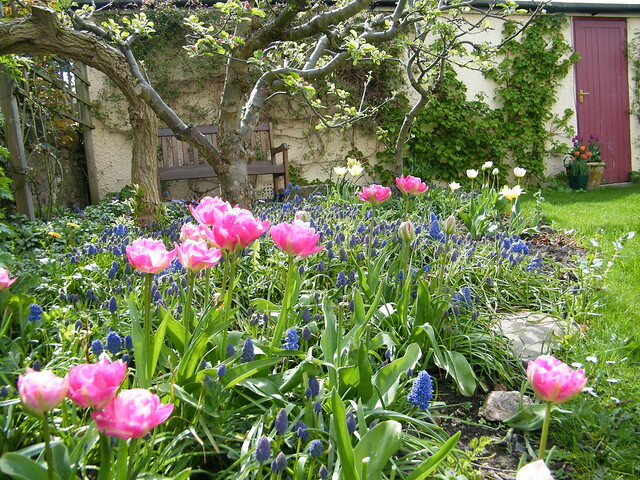 I heard today that the wonderful and generous Beth Chatto team is going to donate plants, as is Frank from the gorgeous Humbie Dean garden near me. 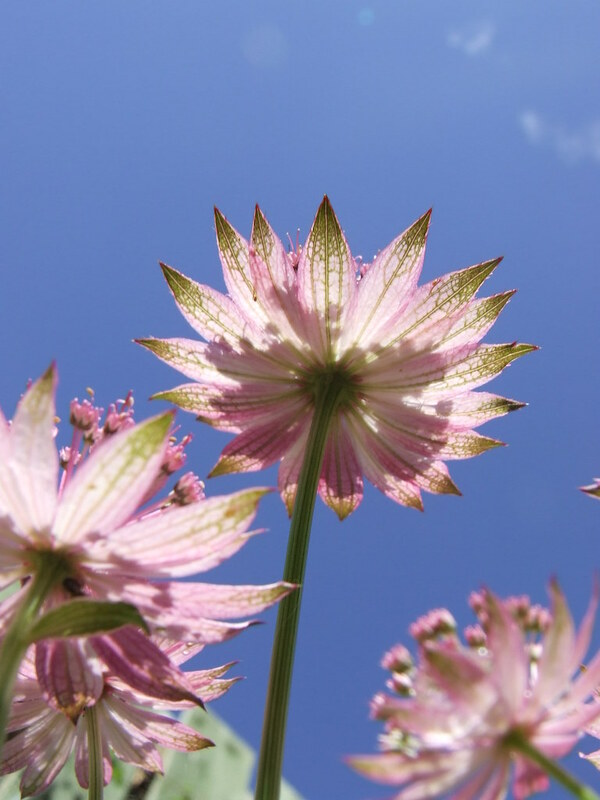 I’ve also been onto Brighton Plants, as well as MacPlants, Crug Farm & Kevock Garden Plants. By the sheer force of my obnoxious pushiness I hope to get more donations of unusual plants. Could you donate a rare or unusual plant? Nurseries of the UK, please get in touch if there’s anything rare or unusual you could donate before 5 May. It will help us gain media attention for this event, which will mean everything to an organisation like the NA Advocacy. If you’d like to make a donation towards NA research but you can’t come to the sale, please visit our fundraising page: Rare Plants for Rare Disease Research. The Advocacy for Neuroacanthocytosis Patients is a registered UK Charity and every single donation, no matter how small, is much appreciated. To the right throughout this post are some of what we’ll have on sale on 6 May. Do come.